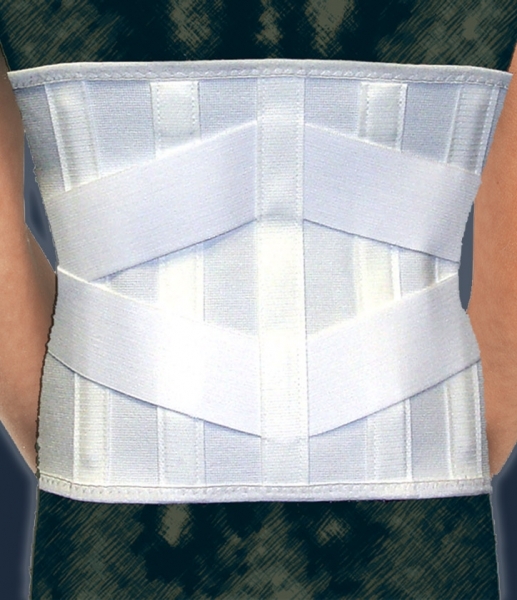 Need a reinforced sacro lumbar support belt with enhanced firmness and stronger support? One-way stretch elastic with hook and pile closures and two removable pre-bent steel stays. Separate adjustable cinch-pull strap secured to wide elastic back sling provides added abdominal and lower back support. Flexible stays at front and back. 6.5" front and 10" back. Effective in the treatment of arthritis, herniated discs, minor fractures, lordosis, spondylolisthesis, protruding abdomen, and other lumbar conditions.